Gordon chides human rights group: Where’s the proof on killings? Gordon, chairman of the Senate justice and human rights committee, said there is yet to be “actual proof” on the alleged state-backed killings in the country. “This is an advocacy group that has to sustain its momentum so that resources can be provided to them. I’m not accusing them of taking advantage but they just have to earn their pay,” Gordon told ANC in an interview. “All I want is for these groups to come out and get the evidence because right now, when you come down and look at the Duterte administration -- and I’m not going to say that that’s a justification -- people seem to be agreeing with the peace and order campaign,” Gordon said. 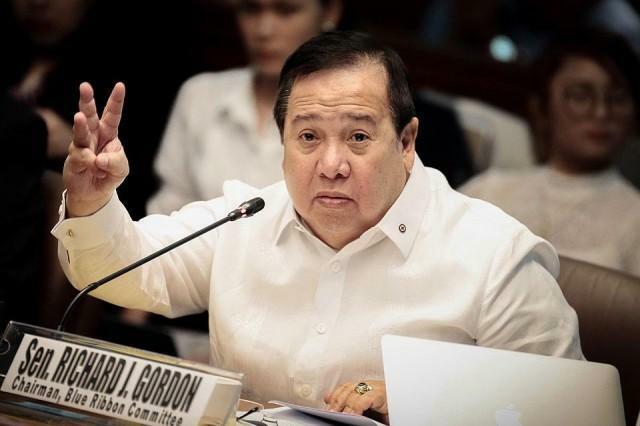 Gordon recalled that the Senate, through an investigation initially led by Senator Leila de Lima, tried to prove the killings are state-sanctioned but presented witnesses who failed to back up such accusations. “That is why President Duterte, I suppose, is getting some support from the public because there is no actual proof,” Gordon said. Gordon sponsored the committee report, which said that there was no proof of state-sanctioned killings.